In the Raverran Empire, magic is scarce and those born with power are strictly controlled -- taken as children and conscripted into the Falcon Army. Zaira has lived her life on the streets to avoid this fate, hiding her mage-mark and thieving to survive. But hers is a rare and dangerous magic, one that threatens the entire empire. Lady Amalia Cornaro was never meant to be a Falconer. Heiress and scholar, she was born into a treacherous world of political machinations. But fate has bound the heir and the mage. And as war looms on the horizon, a single spark could turn their city into a pyre. 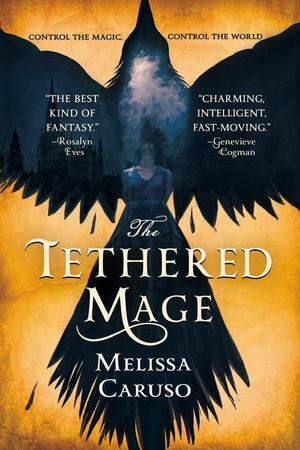 The Tethered Mage is the first novel in a spellbinding new fantasy series.